Hyrule Warriors' hype train is taking us on a magical journey back in time through the The Legend of Zelda series. We've worked our way backwards from the Wii and GameCube era games, and we now find ourselves smack in the middle of what might be Zelda's most beloved days, the Nintendo 64. We've made it this far Tingle free! Can we keep it that way? Japanese gaming magazine Famitsu has revealed three new characters will be playable in the upcoming action game, each of them stemming from the one and only Ocarina of Time. 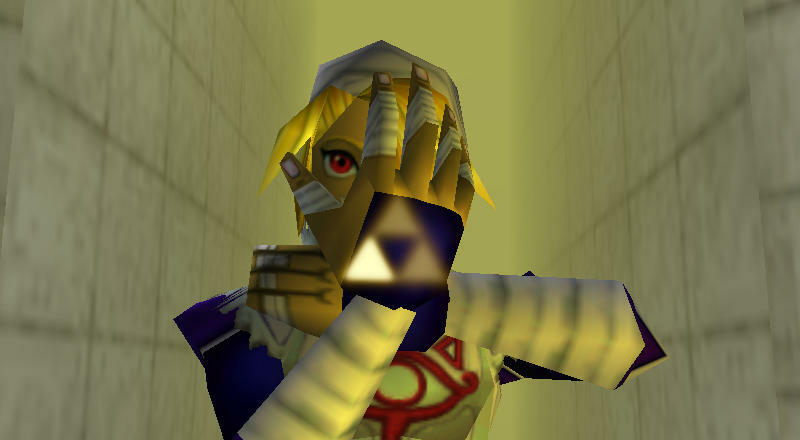 Naturally, seeing as though the immensely popular Sheik is in Super Smash Bros., she seems impossible to leave off the list. Princess Ruto, the Zora princess betrothed to Link from boyhood, will also be playable. Don't look now either, but Hyrule Warriors finally has another male playable character to back up Link! Leader of the Gorons Darunia will be bringing his brute strength the battlefield. "Sworn brother" bromance confirmed? Famitsu also hinted that the loathed Gold Skulltula from Ocarina of Time will also be appearing in the game, and yes, will be the game's non-obligatory collection minigame. Ugh, shoot me in the face with a Light Arrow now, please. Never again will I do that for measly infinite money. Koei Tecmo is going to have to reward me with something juicy. This is getting more exciting as we move further into the years of the series that I actually enjoyed. Ganondorf will no doubt be making an appearance soon as a villain, and once Ocarina of Time wraps up, we might be seeing Majora's Mask's turn with Young Link, his transformations, the Skull Kid and unfortunately "He Who Must not be Named." From there, we get to bask in the glory of Link to the Past… but let's not get ahead of ourselves. We have to other great Zelda games to get through this month.